Whereas changes in price change quantity supplied, these factors shift supply. This is distinctly different from changes in quantity supplied as these shocks affect the price-quantity interaction at every point on our curve. As with demand and quantity demanded, supply is not the same as quantity supplied. When economists talk about supply, they mean the relationship between a range of prices and the distinct quantities supplied, as illustrated by a supply curve. When economists talk about quantity supplied, they mean only a certain point on the supply curve. Like demand, this means a change in quantity supplied is very different than a change in supply. A change in quantity supplied refers to a movement along the supply curve, exploring different points on the same curve. We examined changes in quantity supplied in Topic 3.4. In this section, we discuss changes in supply. Perhaps the most obvious shock to the supply curve is the cost of inputs. Also known as ‘Factors of Production’, these are the combination of labor, materials, and machinery used to produce goods and services. 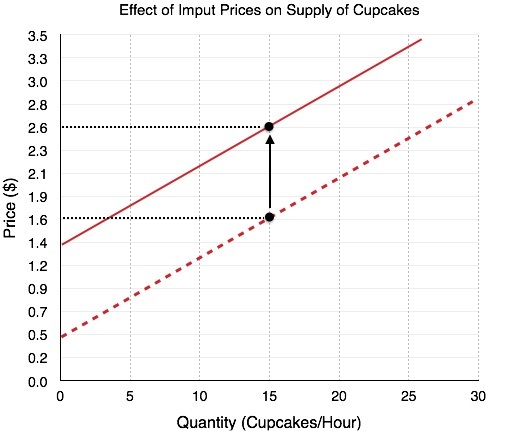 Our cupcake supply curve was based on the assumption of specific implicit and explicit costs which are prone to change. Any changes to these costs will affect our marginal costs at every point. Changes in explicit costs are the easiest to conceptualize. We determined that the explicit cost of our cupcake supplies was around $0.50 each. 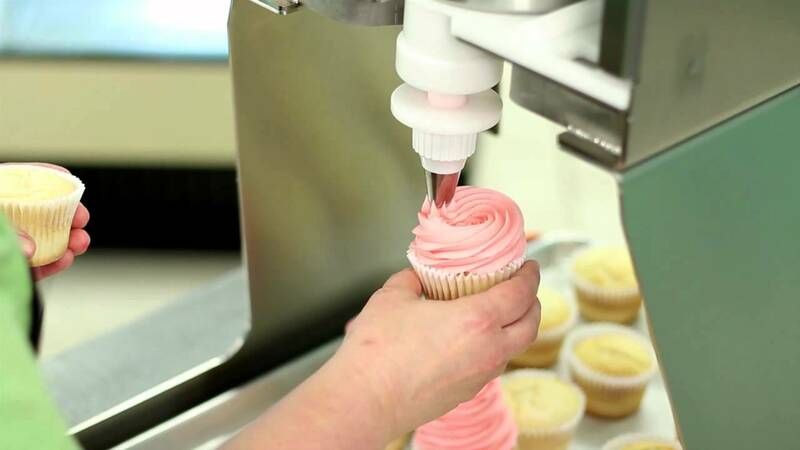 What if icing sugar, an input to cupcakes, becomes more expensive? This will raise our marginal costs at all points of production, causing an upward shift in our supply curve. Notice this increase in marginal cost occurs at all levels, meaning the change will shift the entire supply, changing the quantity supplied at every point. 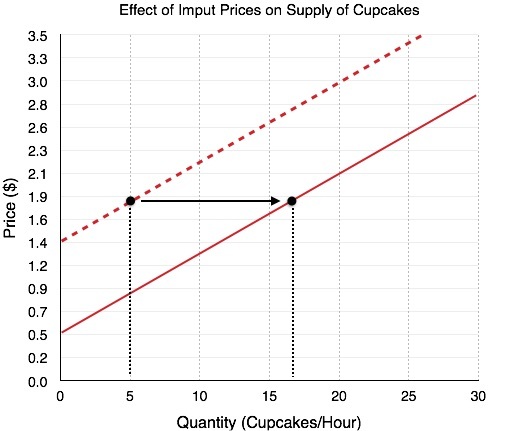 *For an interesting exercise, think about how a price change to an input for both cookies and cupcakes would affect production. On one hand, explicit costs would be higher, but opportunity costs would be lower as cookies would be less profitable. Note from now on, we will generally talk about input costs as increasing or decreasing (rather than looking at explicit and implicit costs) to simplify our analysis. How does the supply curve actually change? In our discussion of demand, we explained that you could view a demand shift as vertical, as consumers’ willingness to pay changes at every quantity demanded; or as horizontal, as the amount consumers buy changes at every price level. There is a similar process for supply. The first way to view a shift in supply is as a vertical shift. Recall that supply represents the producer’s MC at each point of production. Assuming that in the original supply curve our MC of producing 15 units is $1.60, if costs increase by a dollar, we will see the marginal cost increase to $2.60. Since input prices increase by a dollar regardless of our production level, the entire curve will shift up by $1.00. The next way to view a supply shift is slightly less intuitive. In Figure 3.5b, when the price of cupcakes is $1.80, our quantity supplied is equal to five cupcakes. Consider how this will change with a $1.00 decrease in input prices. Originally, we produced 5 cupcakes because our price was equal to marginal costs at that level When our costs fall, our price is still $1.80, but our costs are $0.90. Since P>MC, it is efficient to produce more than 5 units. Using marginal analysis, we find it is efficient to produce 17 units at this price. Whereas before, it was only viable to produce 5 units at the price of $1.80, we can now produce up to 17 units efficiently. This causes the supply curve to shift right. Most shocks will cause a uniform shift as can be explained vertically or horizontally. Technology, expectations, and the number of producers will all shift the supply curve in the same way as depicted. The four supply shocks have been summarized in the table below. Once again, the best way to learn these shifts is not to memorize them, but to practice shifts on the diagram to view their effects. 1. Which of the following will NOT shift the market supply curve of good X? a) A change in the cost of inputs used to produce good X.
b) A change in the technology used to produce X.
c) A change number of sellers of good X.
d) A change in the price of good X. 2. Which of the following is NOT a determinant of the supply of good X? a) The cost of inputs used to produce good X.
b) The technology used to produce X.
c) The number of sellers of good X.
d) All of the above are determinants of the supply of good X. 3. At what price will quantity supplied equal 3 units? 4. At what price will producer surplus equal $2? a) A leftward shift in the supply curve. b) A rightward shift in the supply curve. c) A movement up and to the right along a supply curve. 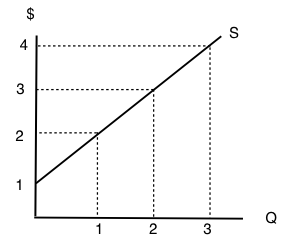 d) A movement down and to the left along a supply curve. 6. Which of the following is NOT a determinant of the supply of good X? a) The cost of labor used to produce good X.
b) The price of good X.
c) The income of consumers who buy good X.
d) The number of sellers of good X. 7. Which of the following is NOT a determinant of the supply of good X? 8. Martin is selling his viola. The minimum amount he needs to be paid for the viola is $15,500. He find a buyer for who is willing to pay $22,400, but this buyer insists that Martin pays for delivery of the viola. The cost of delivery is $700. Martin’s producer surplus from selling his viola is equal to _____. 9. Which of the following statements about inferior goods is/are FALSE? I. Inferior goods are those that we will never buy, no matter how cheap they are. II. Inferior goods are those that we buy more of, if we become poorer. III. Inferior goods are those that we buy more of, if we become richer. d) I, II, and III. 3.5 Other Determinants of Supply by University of Victoria is licensed under a Creative Commons Attribution 4.0 International License, except where otherwise noted.